Since its inception, The Milana Family Foundation’s mission was traditionally to raise money and awareness for charities that benefit children in need. Over the years we became actively involved with the De La Salle School, and have provided scholarships for underprivileged young men to attend the private high school, and then go on to college. We have also been staunch supporters of the Columbus Citizens Foundation, Smile Farms, Cohen Children’s Medical Center, the Cooley’s Anemia Foundation, and Stop Abuse. While we will always remain loyal supporters of these outstanding organizations, The Milana Family Foundation is excited to have launched our own initiative in 2018 – Man Cave Health, Inc. whose purpose is to raise funds to promote awareness for, and most importantly to combat, prostate cancer. This disease effects approximately 1 in 7 men, but there was one diagnosis in particular that had a tremendous impact on our family. In April of 2016 Thomas Milana, Jr. was told he had prostate cancer. 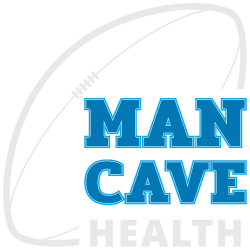 As Tom navigated his way from diagnosis back to wellness, he increasingly saw the need for more awareness about men’s health issues, and so Man Cave Health was born. 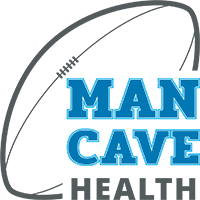 Driven by the notion that “men take better care of their cars than they do their bodies”, Man Cave Health is a destination for men seeking information about and support for prostate cancer. The Milana Family Foundation has hosted several events over the years. Be sure to check out each of them in our long running support of Man Cave Health.